Did you miss out on our MPC Chao Playing Cards which saw the release of the Vermillion Red and Procelain Blue editions with over $29,000 raised on Kickstarter? Contact us if you would like to get a deck. Reducing use of non-environmentally friendly materials such as plastic to package playing card decks to help save the earth. MPC is going greener with their packaging and reducing the use of plastic for a more sustainable future. Create your own custom game booklet to go with card game set or a tarot deck is easy. 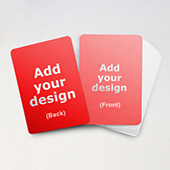 Adding a booklet for game rules and instructions or for futher details is an important part of any card game. 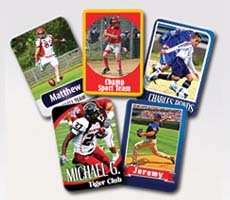 We at MPC have 6 different professional playing cards grade card stocks for you to choose from. 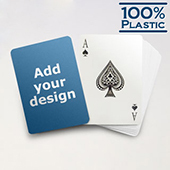 5 paper stock and 1 100% plastic stock all of which are sourced from leading industrial paper manufacturers who stock the best and highest quality playing card stock used for top retail card games. 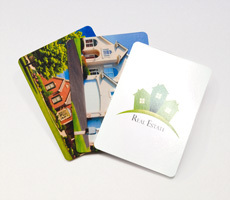 print different sizes of playing cards for your business needs, printing on both face and back of card deck with custom boxes. New blank game card decks are now available for sale on makeplayingcards.com. we have introduced a number of card sizes including domino cards, square cards, rounded cards hex cards as well as other sizes. 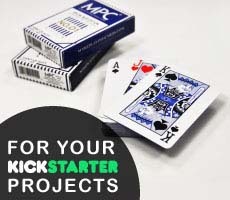 Create your own tuck boxes for your playing cards with no minimum order quantity. Order from as little as 1 box and delivered worldwide. Download our custom tuck box template and send back to us for print. The LINEN AIR Card Stock by MPC. Deep air pockets to trap air for excellent handling on 310gsm German Master finish with black-core center layer and offset printing with solid colors. 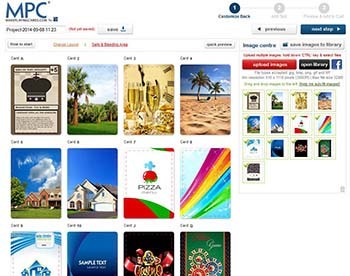 You can create your card designs in seconds with our revolutionary and user-friendly online card maker and have your customized cards delivered direct to your door in less than a week, whether you are in the US, UK, Canada, Australia, Singapore, Europe or anywhere in the world, we will deliver straight to you or your customers. With smart technology built into our online system, you can ensure your DIY designs are nothing less than perfect. Our online maker is smart enough to guide you through image resolution, design positioning, and printing issues. No downloads needed. We deliver worldwide and all printing and productions are done inhouse and undergo strict quality control. 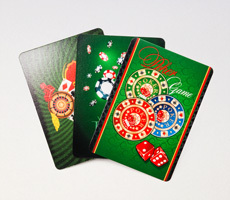 We cater for any industry that requires high quality playing cards. Our customer base ranges from the gaming industry, educational sectors, retail and resellers, food and beverage, hotels, professional services, corporate marketing and also as great gifts for our personal shoppers. 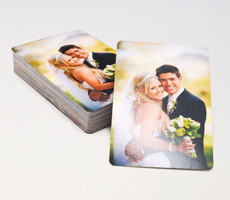 The list is endless but they all have one thing in common and that is the requirement for high quality customized playing cards at low prices and a quick turnaround time. See below for some sample cards. With over 35 years in the printing industry plus serving more than 25,000 customers worldwide in the last year alone, our quality playing cards and game cards, fast turnaround and flexible service continue to prove itself popular among a wide range of industries. We have many standard sizes available with a variety of designs which you can customize the face and back of. We also stock blank cards which are faceless game cards without the standard playing card suit and numbers to allow you to start from a blank canvas! Our printing process has been fine-tuned and is very environmentally friendly as going green is one of our top operational priorities. We are constantly adding to our large range including the 100% plastic custom playing cards and the highly sought after MPC's Linen air (Master quality finish) on 310gsm paper card stock which can be made to order and delivered to your doorstep within a week. What's more, our materials and production processes meet global conservation and quality standards. 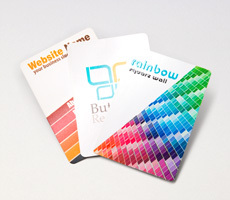 Our use of cutting edge printing technology puts us way ahead of the competition with no minimum order required i.e. you can order 1 custom deck to thousands of decks as you need. 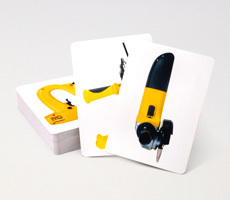 We not only print cards but we also print a huge variety of custom card boxes too. Check out our custom box page for more details and options. For our Kickstarter customers, we have custom brick boxes and custom uncut sheets with no order limit to compliment your playing cards project. MakePlayingCards.com is a professional game cards printing company. 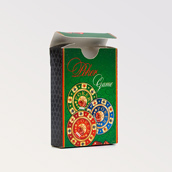 Operated under QP Group, one of the leading playing cards and games manufacturer in the world. 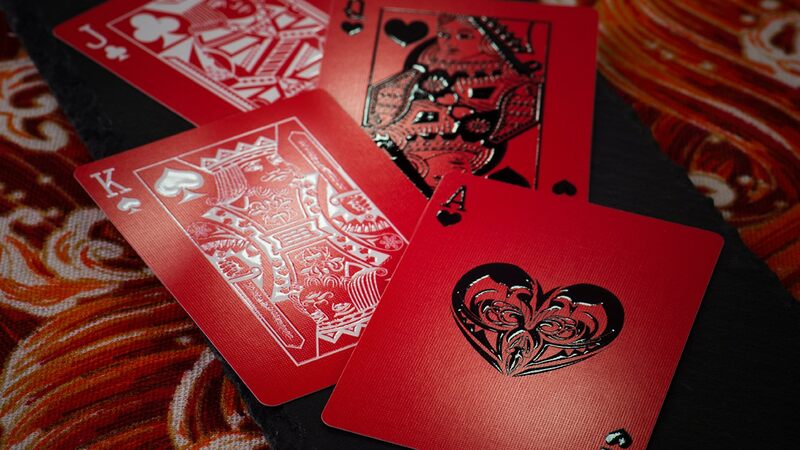 We offer professional decks of cards without the associated design and consulting fees which makes our streamlined card manufacturing service very fast, efficient and cost-effective for you. 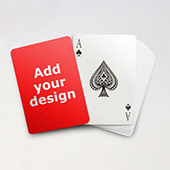 We provide an easy to use online platform for you to customize your playing cards or game cards with full preview functionality, giving you control and allowing you to quickly create professional custom card designs the way you want them. When it comes to quality, we come second to none. Whether you're in the games industry needing a supplier to print custom made playing cards, in retail to sell your own designs of cards or just looking to increase brand awareness with logo playing cards, we can do it for you! MPC has also attained high levels of operation with accreditations with many globally recognized standards organizations, so you can be certain, you're getting your cards made with a trusted manufacturer. You can find out more about us and our mother company QP Group on our about us page. "Wonderful! Very quick process and shipping to the US. Great quality couldn't be happier."